*What would you like to do today? 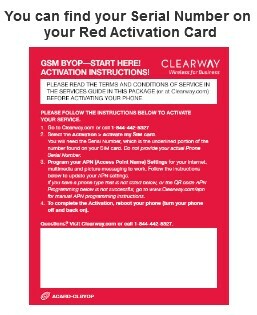 Enter your SIM card number found on your red activation card. * Activation Zip Code What's This? To successfully complete this process, we need the following information about your current service. This information can be found on your billing statement or by contacting your current service provider. © 2019 TracFone Wireless, Inc. All Rights Reserved. Clearway Wireless is a trademark of TracFone Wireless, Inc.